It’s important as an Architect or any professional involved in design, to expand your aesthetic references. I’ve shared in this blog in the past my travels throughout California and how in all cases I’ve taken in those experiences and improved my own perspective and ‘art’ as an Architect. When you are an Architect-Builder, you tend to look for the connection between architecture and art — art not just for its beauty or how it makes you think or feel about the subject, but you also analyze how the art was made. This is especially true with sculptors and artists who construct large scale art installations. There will be projects that sometimes bring about recollections of an artist. Recently, I have been thinking about Artist Donald Judd (1928-1994). He was a minimalist who rejected that label. He left New York City in the 1970s for a small town in Texas called Marfa. There, he acquired an abandoned Army base and populated it with the installations for which he is best known. 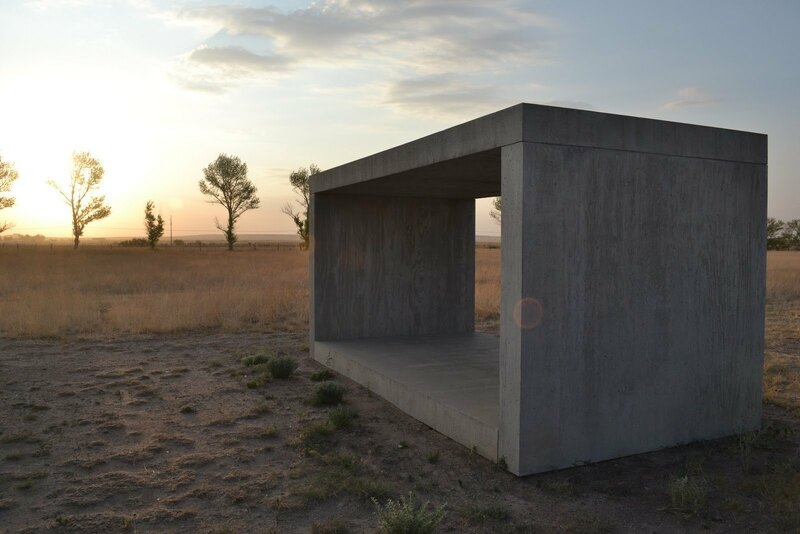 Today in Marfa, there are concrete cubes, almost frames, sitting in the vast Texas fields. Marfa has become an artist mecca, attracting modernist and minimalist artists. However, if visitors don’t know better or are just passing through, the installations seem to be relics from the base’s military past. I like Judd because his work forces you to interact with a space rather than passively stand and look. The empty space between the objects is just as important as the objects themselves. Judd’s signature works are his forms. One of his most famous works is a stack of cube-like structures – 6 inches high and sitting 6 inches apart on a wall. The piece is made from industrial material, including Plexiglas. The components are machine-made.